A carcinogenic liver parasite is being touted as a potentially "revolutionary" treatment that could save the lives of diabetics with chronic wounds. Carcinogenic liver parasites might sound like a patient's nightmare, but Queensland researchers believe the proteins in them could "supercharge" healing of chronic wounds. They hope their "revolutionary" discovery will end up saving the lives and livelihoods of diabetics. "Every day 12 Australian diabetics have a limb amputated because of a chronic wound. Globally, it's one every 30 seconds," James Cook University researched Dr Michael Smout said. A tendency for stubborn inflammation and poor circulation inhibit diabetics' bodies from closing wounds and battling infection, and there are currently no medicinal treatments available to remedy chronic wounds in Australia. "If a diabetic gets an amputation, they have a five year survival rate of only 50 per cent, so it's absolutely critical these wounds are healed before they get to that point," Dr Smout told the AAP on Monday. Dr Smout said there is one drug available internationally, but it has limited success - only a one-in-two chance of improving healing by 22 per cent. He hopes the drug his team is working on can do much better - their testing on mice revealed a 43 per cent improvement in wound healing. 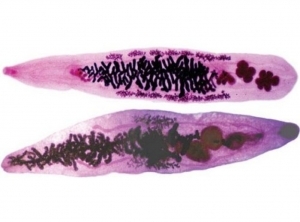 The research team 'ironically' discovered the healing powers of the Southeast Asian liver fluke by trying to kill it with a vaccine. The fluke, most prevalent in Thailand, is usually contracted from undercooked or raw fish and infests the liver often leading to bile duct cancer. They decided to steal the worm's secret trick and re-engineer granulin protein from the parasite into smaller, simpler molecules to be utilised in a topical cream. Researchers have only tested the cream on mice so far, but hope to securing funding to conduct a small scale human trial, and then mass produce the life-saving drug.